Yamaha Custom EX sopranos are an improved version of the classic YSS-875, already considered by many to be the finest soprano saxes ever made. The new design with its G2 neck offers even broader expressive capabilities with wide dynamics, precise intonation, and a gorgeous sound with rich harmonics. The YSS-875EX comes with two necks - one straight and one curving - to suit different playing preferences. The YSS-875EX comes with both straight and curving necks to accommodate individual playing preferences. 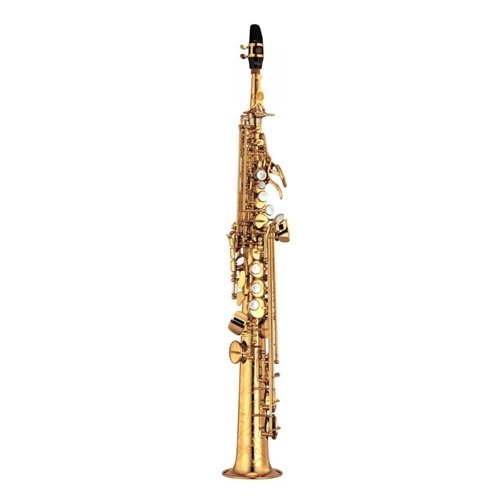 High G Key (YSS-875EXHG) The High “G” key on the YSS-875EX maintains the same functionality as on the original EX letting you comfortably play a high G (a semitone higher than usual soprano saxophones) with greater stability. Case These saxophones come in deluxe ultra-lightweight cases which provide excellent protection. A convenient carrying strap is also included.